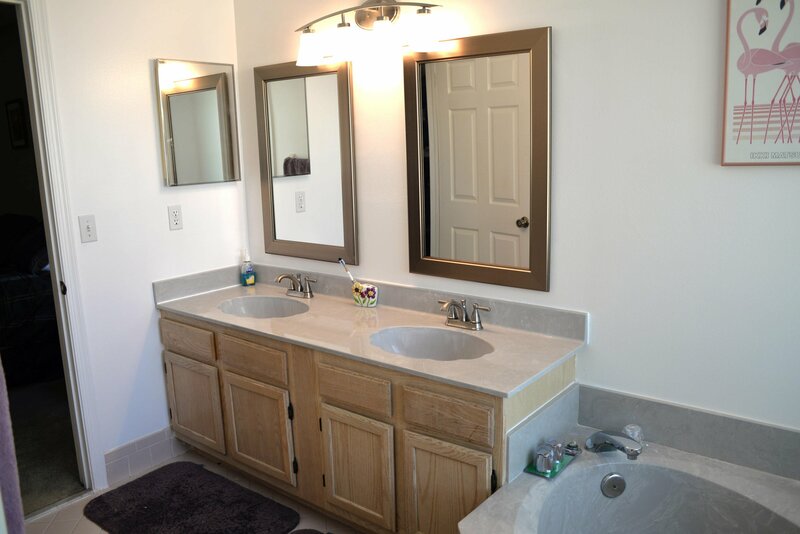 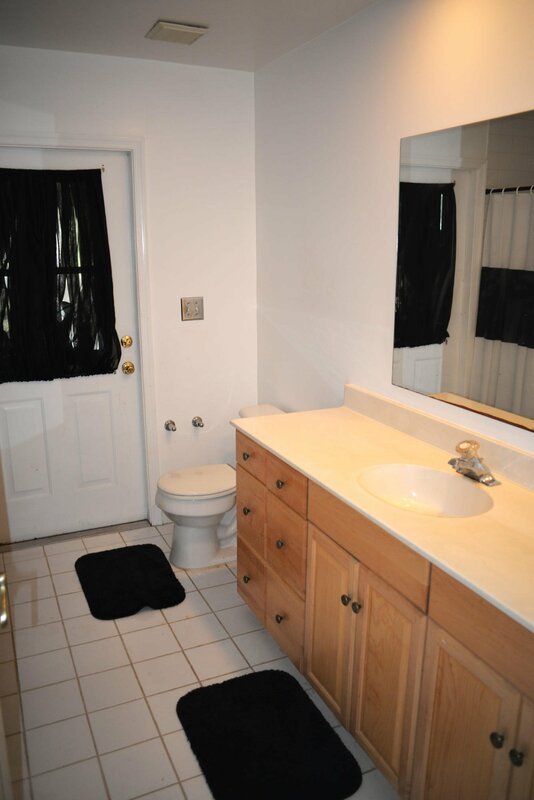 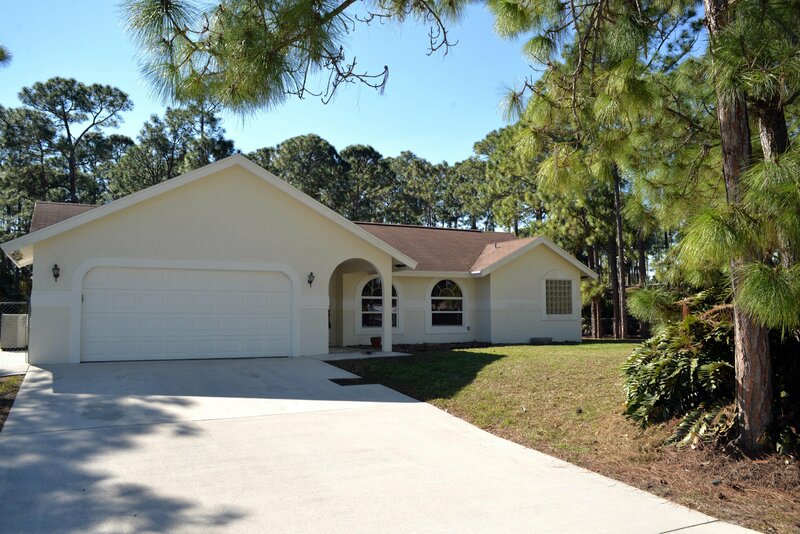 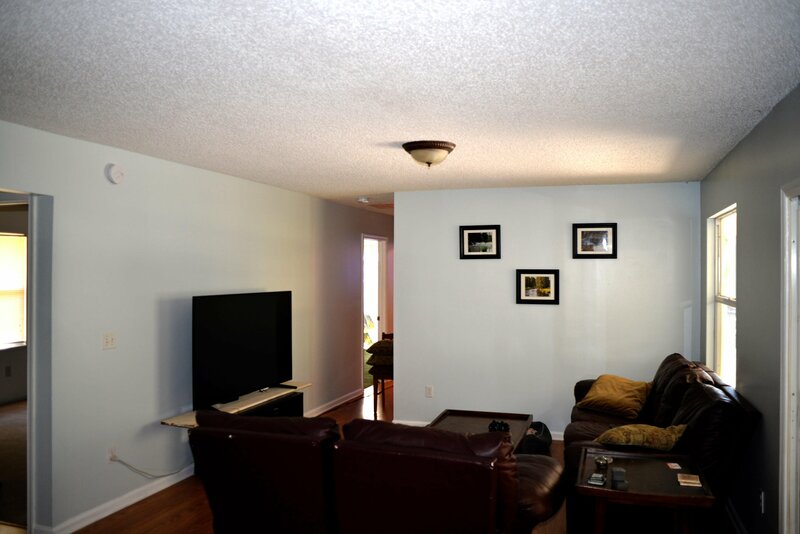 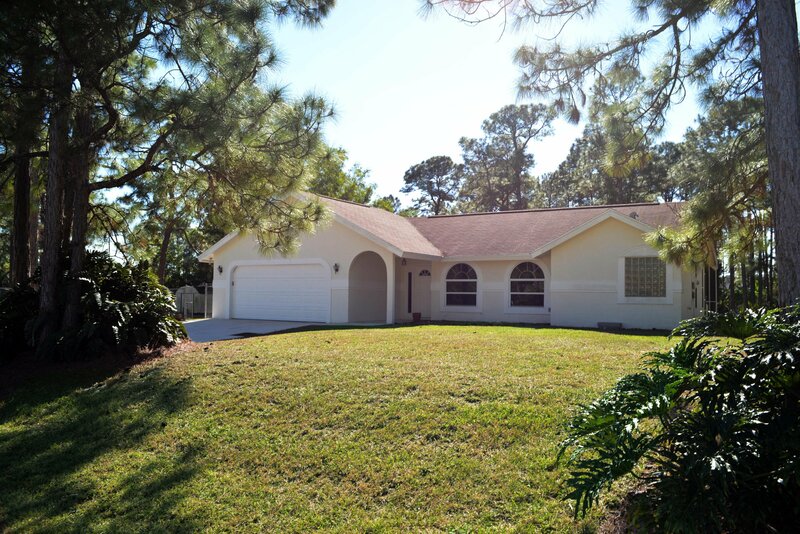 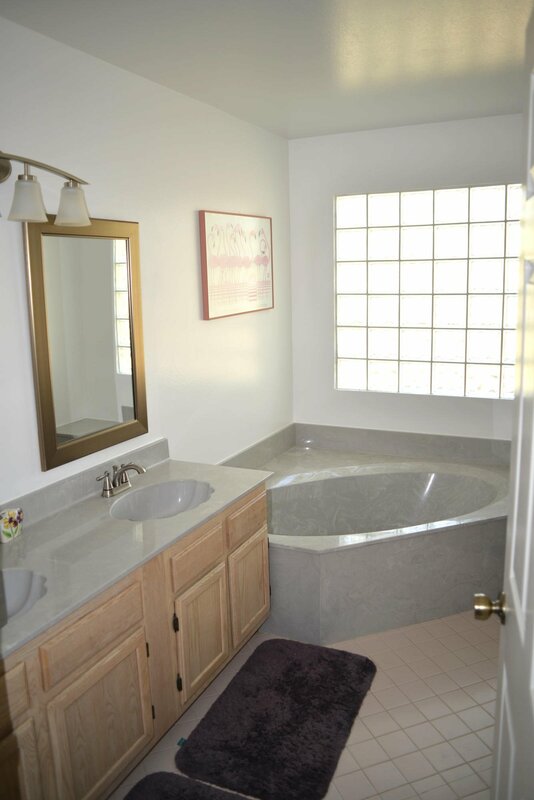 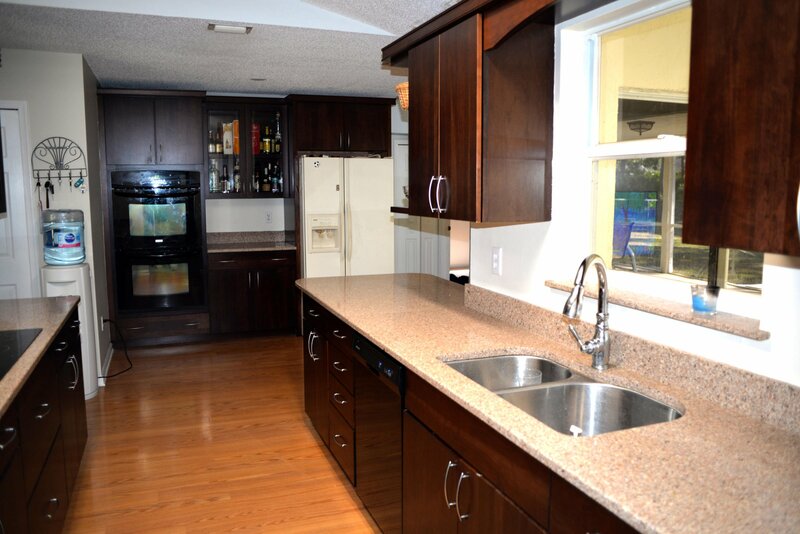 Very Spacious 4 bedroom 3 bath home with re-modeled kitchen. 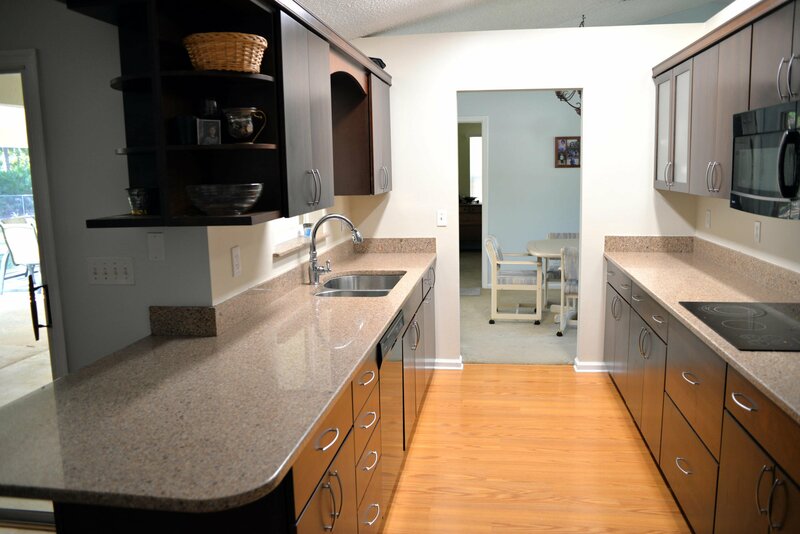 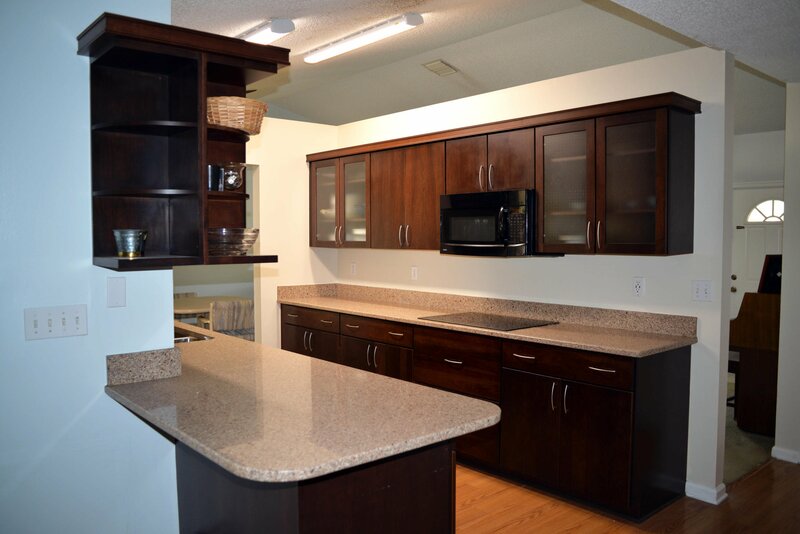 Wood cabinets solid surface countertops. 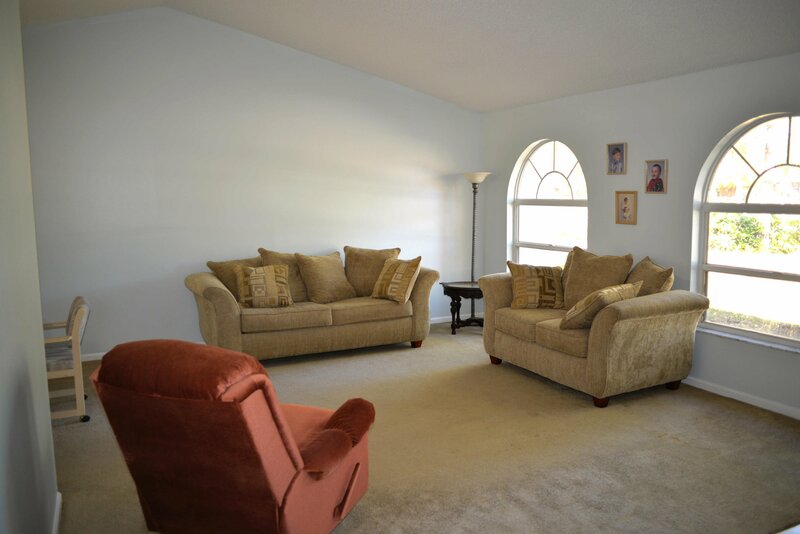 Huge pantry and both living and family rooms. 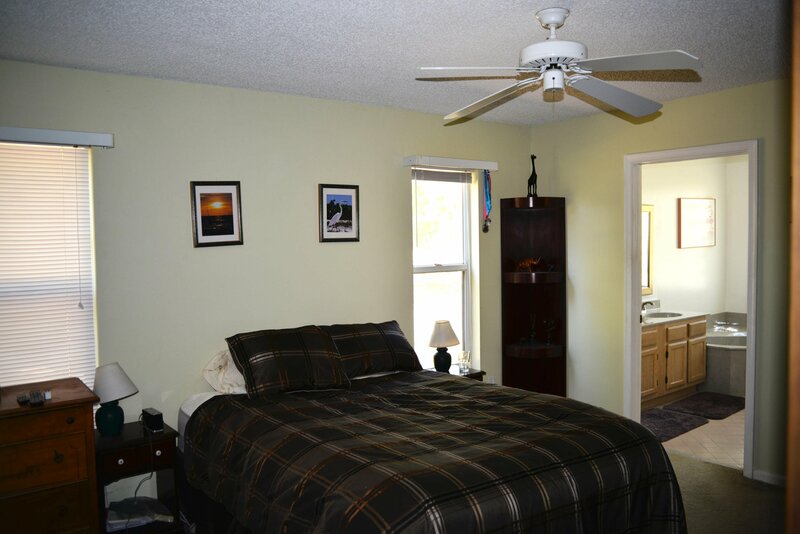 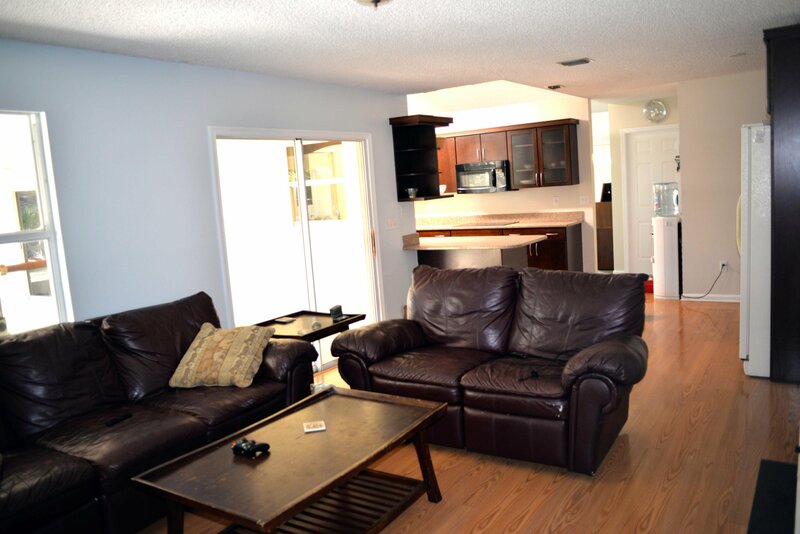 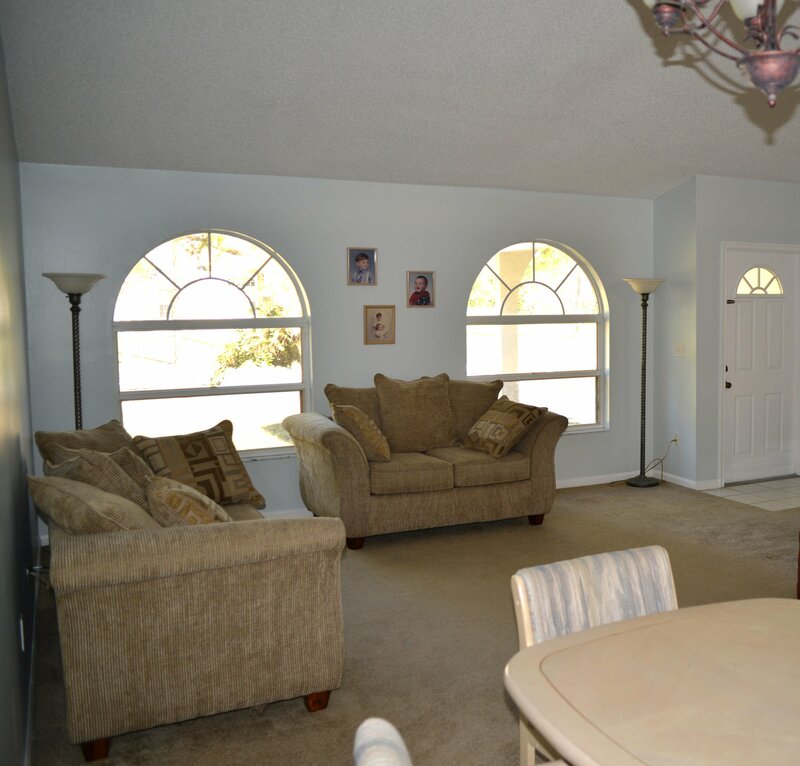 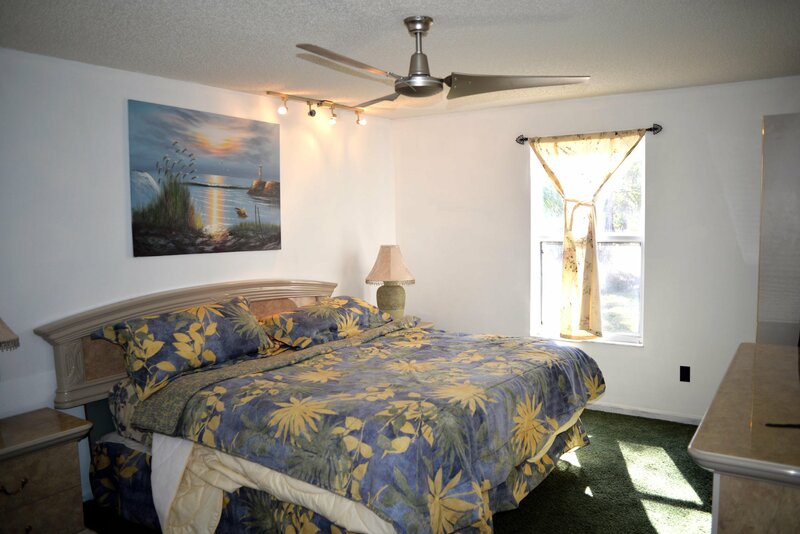 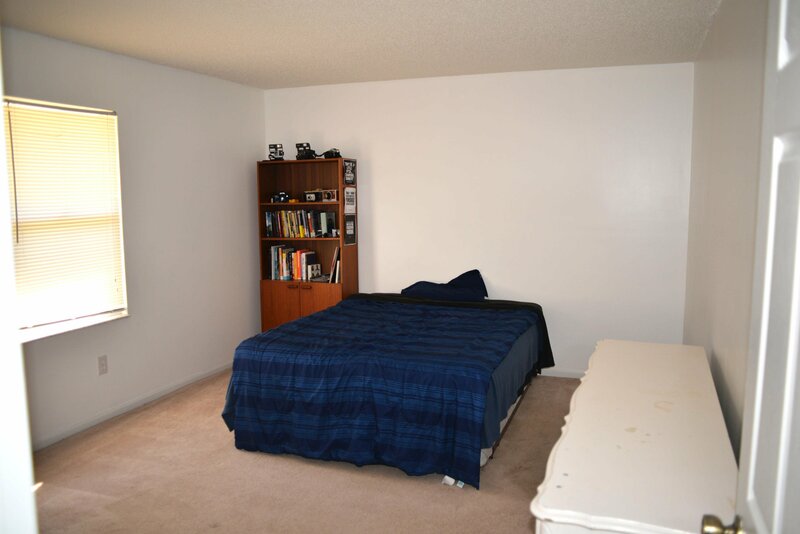 House has large bedrooms and huge covered patio. 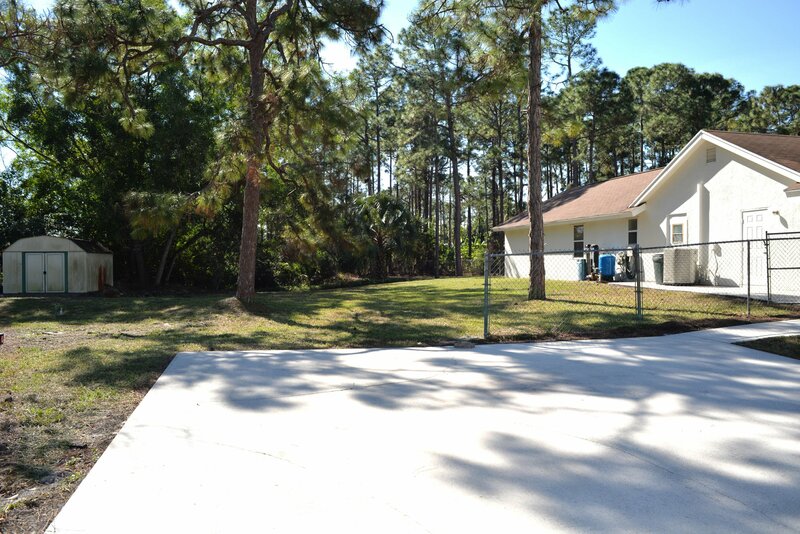 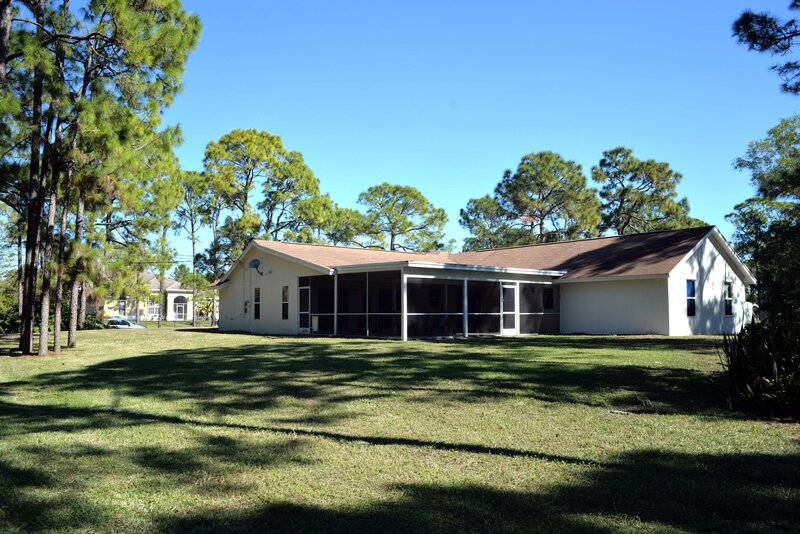 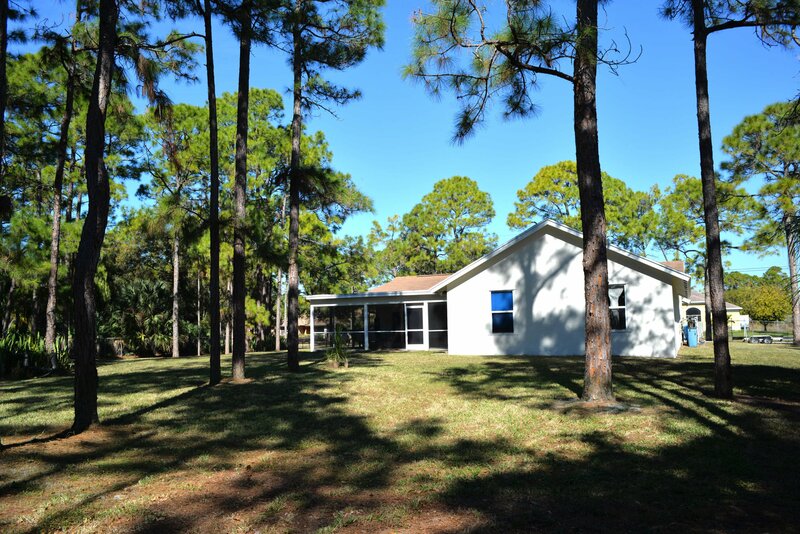 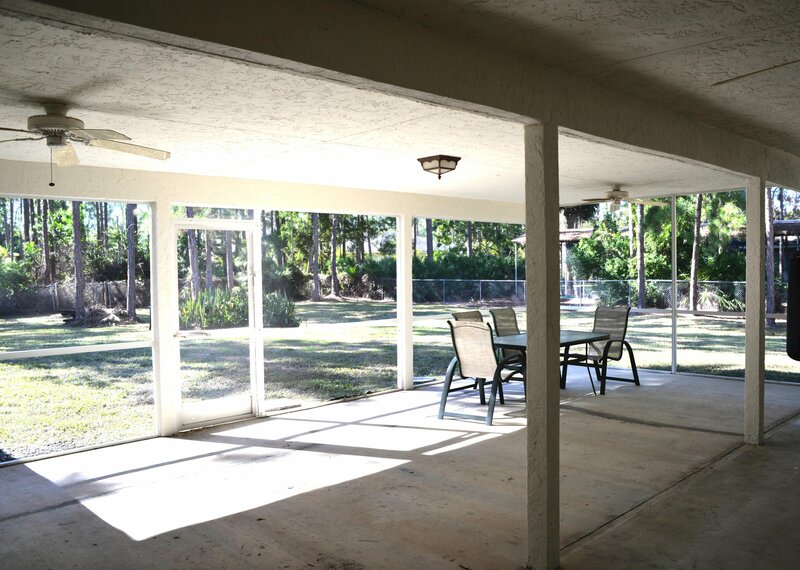 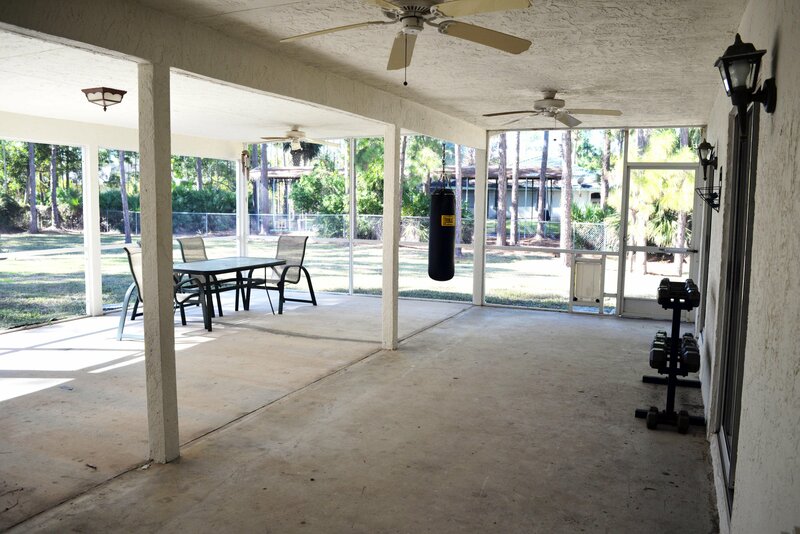 Very Large Screened patio overlooks a large wooded lot at the end of a very private road. 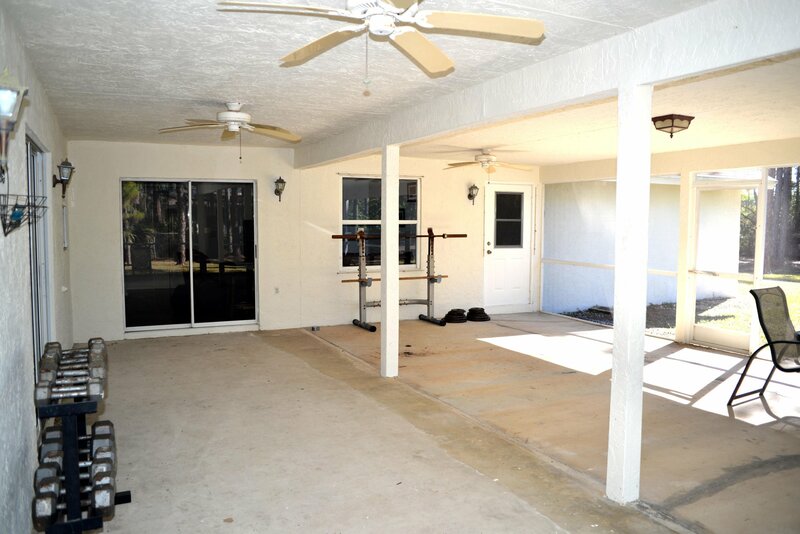 This home features a pond, fenced yard extra trailer or car parking and a small garden shed on a slab.